This is one of the most creative, important big band compositions ever written by anyone! It is also a chart which has been in demand for many years. 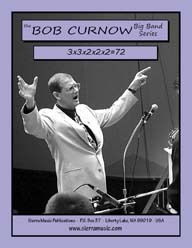 This arrangement by Bob Curnow is based on Johnny Richards' original composition written for the Stan Kenton Orchestra, which was part of the "Adventures In Time" album. The 1961 Capitol Records recording of Christmas music was a smash hit for Kenton. Exactly as recorded by Chris Conner with the Stan Kenton Orchestra, this moody, brilliant arrangement is a perfect vehicle for your vocalist. Lennie Niehaus wrote a series of terrific arrangements for the Stan Kenton Orchestra (this was recorded on the "Stage Door Swings" CD). One of those mystery charts that hardly anyone knows about, this chart is a beauty. The lush trombone section sound of the Kenton Orchestra on a gorgeous ballad. As recorded by the Stan Kenton Orchestra on Adventures In Standards, this is a medium, swing chart on a great tune. The Stan Kenton Orchestra was always ahead of its time! This chart was based on the music of Blood Sweat and Tears. A re-scoring of a Kenton original (richer harmony, better key). A dramatic setting of three American songs. The 1961 Capitol Records recording of Christmas music was a smash hit for Kenton. This is a newly re-arranged version of the magnificent melody recorded on the Adventures In Time CD (available on CD from Sierra). As recorded by the Stan Kenton Orchestra on "Artistry in Rhythm" (and many other CDs). There have been many requests for a stand alone version of Kenton's theme song. Exactly as recorded on the Kenton / Capitol Retrospective CD (and the original Milestones LP). This was recorded by the Stan Kenton Orchestra on Stage Door Swings, and it is one of Lennie's wonderful charts on a great Broadway standard tune. Bob Curnow took Ken Hanna's wonderful, latin, medium-tempo tune and made it a bit more accessible for good bands. As recorded by the Stan Kenton Orchestra on Back To Balboa (Capitol), Richards takes this great standard and turns it into a 6/8 latin and swinging screamer. As recorded by the Stan Kenton Orchestra on Adventures In Standards, this is a medium-swing chart on a great tune. This was recorded on the Stan Kenton Orchestra CD Live at the Tropicana. As performed by the Stan Kenton Orchestra, here is one of the hippest charts from the Kenton book. As recorded on the CD "Back to Balboa" (and many other albums), this sensational piece moves along at a fast tempo, featuring solo space (the blues) for alto sax, tenor sax, trumpet, trombone and drums. Here is a slow, gutty, "down-home" type of blues written for and recorded by the Stan Kenton Orchestra on the Adventures In Blues album. 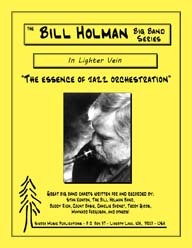 Bill Holman wrote some of the best music played by the Stan Kenton Orchestra and "Boop Boo Be Doop" is surely one of those charts. When Lennie arranged for the Stan Kenton Orchestra, he created the most beautiful big band dance book ever written. When Bill Holman writes a feature for a player, especially in the Kenton Band, you know it will be wonderful. 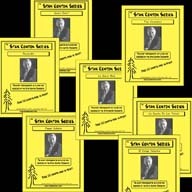 As recorded by the Stan Kenton Orchestra on "Contemporary Concepts," this publication completes the goal of getting this entire watershed recording into print. This was the first of many "time charts" that Hank wrote for the Kenton Band. As recorded by the Stan Kenton Orchestra on "Merry Christmas", this chart has optional saxophone parts which nicely cover the french horn parts (originally written for only brass and rhythm section). This historically important piece opens with a rubato piano solo and then moves to a terrific Rugolo trombone feature (originally recorded by Kai Winding). One of Kenton's most important compositions. Rarely does a piece turn up like this one. Contains all of the following charts:. The Daily Dance was recorded by the Stan Kenton Orchestra on the CD "Birthday in Britain. Mulligan contributed only a few charts to the Kenton Library, and they are all classics. As recorded by the Stan Kenton Orchestra and Jean Turner, this is a superb Ellington ballad that will make you want to hear it over and over again. Hank contributed so much to the Kenton book in the '70's, and this chart is one of the best of the bunch. Graettinger arranged this standard in his most unusual way, using dissonance offset with the beauty of this gorgeous melody. A true Kenton Classic. This is a beautiful, lush, straight-eighth ballad on the popular Cole Porter tune "Easy To Love. The 2nd movement of Richards' amazing Cuban Fire Suite. From the Progressive Jazz period in the 1940's, this piece focused on the alto saxophone (originally played by George Weidler). A magnificent alto saxophone feature. As recorded by the Stan Kenton Orchestra on Stage Door Swings, this is a lovely ballad scored in the incomparable Kenton style. One of the great pieces written for the Los Angeles Neophonic Orchestra, founded and conducted by Stan Kenton. Exciting and challenging music. Russo always created wonderfully interesting (and challenging) arrangements of standard tunes. There were a few Holman charts that were written for the Stan Kenton Orchestra which had disappeared over the years, seemingly lost forever. One of the loveliest ballads ever recorded by the Kenton Band. This is one of the many wonderful charts arranged by Lennie for the Stan Kenton Orchestra. The Stan Kenton Orchestra was always an ideal showcase for the outstanding soloists within its ranks. Movement I (of 7) of the Cuban Fire Suite. This is a great chart to feature your drummer and the entire ensemble! Starting out with a bombastic Eastern-sounding introduction (ala Genghis Khan), it then launches into a hard-driving minor blues stated by the trombone, trumpet and tenor saxophone. Johnny Richards at his best! A very playable chart without a lot of range concerns for brass. Stan Kenton had a certain touch in his arranging that stood out. The 1961 Capitol Records recording of Christmas music was a smash hit for Kenton. The 1961 Capitol Records recording of Christmas music was a smash hit for Kenton. A fun-filled, exciting chart on the old tune. Any Kenton fan knows this piece very well, as it is one of the finest things ever written for Stan. This is the original, quintessential arrangement by the great Dee Barton as recorded on the "Live at Redlands University" CD 5-5-5-3. The 1961 Capitol Records recording of Christmas music was a smash hit for Kenton. As recorded by the Stan Kenton Orchestra on the CD "Live at the Tropicana," this slow, bluesy piece is a wonderfully understated chart that features an easy-to-play, written piano solo. This is another of the many wonderful charts arranged by Lennie Niehaus for the Stan Kenton Orchestra. This was recorded by the Stan Kenton Orchestra on Back To Balboa, and it is a highly original, exciting chart (latin/swing) on a great standard tune. 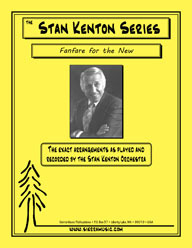 When Lennie arranged for the Stan Kenton Orchestra, he was able to capture the Kenton sound without a lot of high-range problems or difficult concerns for the players. This is one of those superb Holman charts written for Stan Kenton in the early '50's that just swings like crazy. Here is a wonderful vocal chart by Lennie on this unforgettable standard. This wonderful ballad is recorded on the Stan Kenton Orchestra “Sketches On Standards" CD. This is a rich, warm chart as arranged by Stan. This may be the all-time greatest jazz arrangement of a standard tune. A lovely Broadway tune as scored for Kenton's dance book. Bill Mathieu's arrangements, done for the Stan Kenton Orchestra were some of the most beautiful pieces ever recorded by that band. Another amazingly futuristic piece from Rugolo's great mind. Recorded in 1954 for the recording Kenton Showcase this chart is an alto saxophone feature throughout. Here is another chart written for Stan Kenton (in the mid-1950's), that was never recorded by the band. This was one of the early charts of Hank's recorded by Kenton. Exactly as recorded on the CD "Stan Kenton Plays Chicago," this chart is a great feature for alto saxophone set in a big band fusion style. Recorded in 1947 and included in the Milestones LP, this piece is a gorgeous melody (one of Pete's best known). Finally, the up-to-date version that the Kenton Band played right up until the end. This is the original version of the tune recorded in 1946, and also included in the Milestones LP. Once used in the Blackboard Jungle movie, this piece is one of Holman's earliest compositions to be recorded by Kenton. As recorded by the Stan Kenton Orchestra on "Adventures In Standards" CD, this is a wonderful, swinging chart on a great tune. Here is another terrific chart as recorded by the Stan Kenton Orchestra on Adventures In Standards. This is one of Holman's best loved (and most often played) charts. Movement V (of 7) of the Cuban Fire Suite. Movement VI (of 7) of the Cuban Fire Suite. As arranged for and performed by the Stan Kenton Orchestra, this is a wonderful setting that features the saxophone section and solos for trumpet and trombone.